Hello The Weekly Paper readers! Thank you all for making last week’s post the most successful ever. This blog is finally gaining some serious traction and I want you all to know I truly appreciate the support. Vitamin C is known officially as L-ascorbic acid. This molecule is a dietary requirement and a chronic deficiency of vitamin C produces the famous disease “scurvy.” Principally, vitamin C has two main functions: enzyme co-factor and antioxidant. 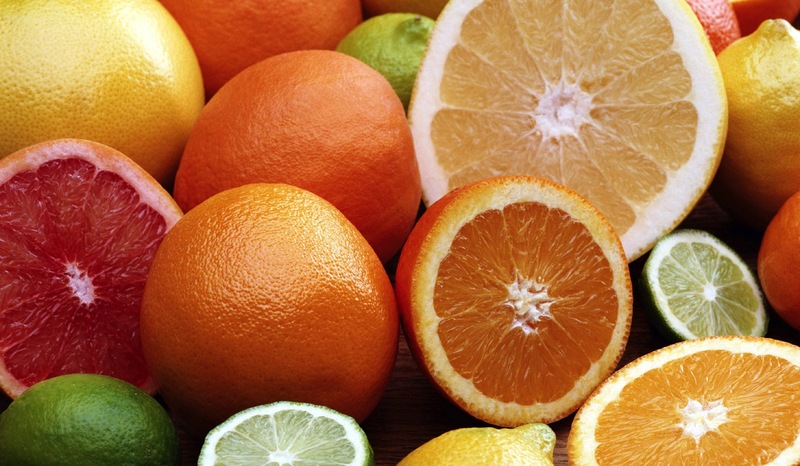 In the body, vitamin C is used mostly as a co-factor in certain enzymes. A co-factor is a separate, non-protein component of an enzyme that is required for its function. Specifically, vitamin C acts as a reducing agent, which is a refers to its ability to reduce, or donate electrons, to other compounds and thus become oxidized (lose electrons) in the process. Within the realm of enzymes which utilize vitamin C, it acts as the electron donator (reducing agent) that returns the metal ions, which actually do the catalytic enzyme reactions, back to their proper reduced state. If the metal ions are allowed to be permanently oxidized, the enzyme then becomes useless and the reaction for which it is responsible no longer occurs. Put a much simpler way, oxidized = rusted, so the vitamin C prevents the metal ions from becoming rusted over and losing function. So now that we understand that vitamin C allows metal ions in certain enzymes to function normally, let’s explore what enzymes actually use this mechanism. Primarily, vitamin C is used by enzymes involved in collagen, carnitine, norepinephrine, dopamine, and peptide hormone creation, as well as participating in tyrosine metabolism. As you might imagine, this is a fairly diverse group of enzymes; we still don’t fully understand the extent of vitamin C’s value across all relevant enzymes nor all of the mechanisms involved for each enzyme. Of particular note, vitamin C plays an essential role in collagen formation. Without it, you cannot properly heal wounds and connective tissues can become seriously weakened. For example, the initial symptoms of scurvy largely stem from reduced collagen synthesis capacity. These include bleeding (due to compromised blood vessels), gum disease, poor wound healing, and bone issues, among others. As such, anyone having surgery should discuss with their surgeon the need to take vitamin C supplements before and after the procedure. Vitamin C also has activity as an antioxidant, using its role as an easy donator of electrons to neutralize free radical (single electron) species on its own. Sadly, no one has comprehensively studied what impact this has on human health. But, it remains that vitamin C can act as an antioxidant and, as you are probably aware, reducing oxidative damage is a very important element of maintaining many aspects of our health. Insofar as the immune system/treatment of disease is concerned, vitamin C’s role is much less clear cut. Clearly, its biological role is diverse and thus it could have a much greater role than we currently know. However, as of now what has been seen in the lab is extremely diverse and difficult to translate into clinical practice. Studies have shown vitamin C to reduce virus activity, suppress tumors, and regulate the immune system during infection (by influencing interleukin activity). But clearly, plenty of people take vitamin C regularly and still get sick. So it is hard to say, as of now, whether or not supplementing vitamin C for this purpose is really helpful to the immune system or is just merely a complement to an otherwise normal body response in healthy individuals. The bottom line is, no matter what get your daily vitamin C by any means necessary. You can supplement, but even better you should get it from healthy foods that contain many other great nutrients such as broccoli, peppers, and kale. You’ll be happy you did. Thank you for the question, dad! As always, if you have a question you’d like answered here, feel free to submit to directly at the link above. Till next time, one love.